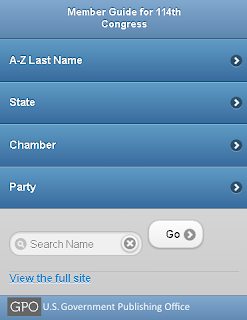 The mobile Web app provides the public with quick, easy access to information on Members of the 114th Congress; the features include their picture, party affiliation, hometown, home state, and length of service. 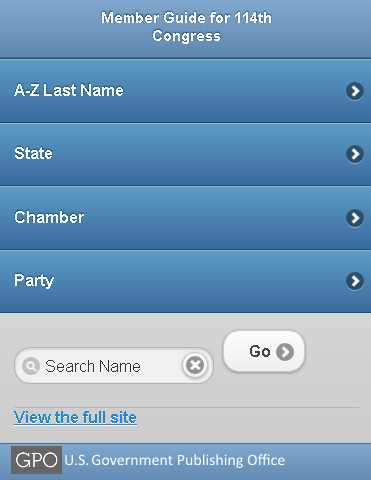 The app allows users to browse for Members of Congress by last name, state, chamber, or party. The public can take advantage of this free mobile Web app on major mobile device platforms. Find more mobile-ready guides and directories at GPO Mobile.